Here is Jovenel Moise running for President. 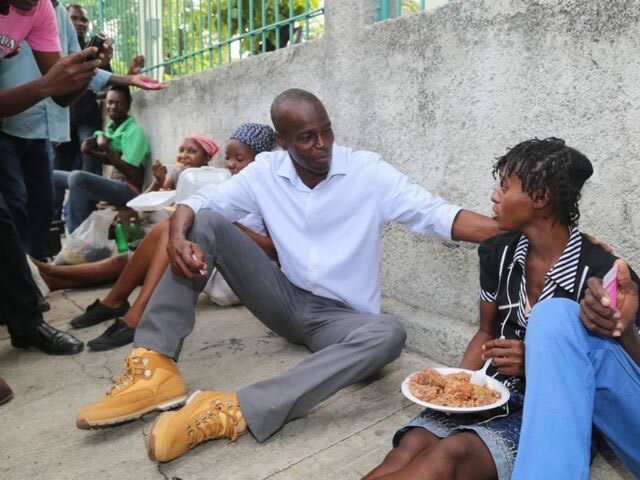 Jovenel Moses was born (June 26, 1968) in a modest family in the North-East Department. He inherited sense of discipline, civic and moral responsibility and the love for country and from his parents. These strong values combined with his natural ability to lead have made him a successful entrepreneur and an indisputable model in Haiti. He is the main promoter of the Agritrans banana export project in Haiti. Moses is a Faculty of Education Sciences of the University Quisqueya. In the recent election, he is a presidential candidate representing the banner of President Martelly's Tet Kale Party (PHTK). As a shrewd entrepreneur, Moses knows very well how to transform problems into opportunities. Recently, as per news report dated September 26, 2015, few top leaders of PHTK, especially President Martelly, were accused of a salvage plan to protect Jovenel Moïse of election defeat from his closest rival Jude Célestin running under the banner of "Alternative League for Progress and Haitian Emancipation" (LAPEH).